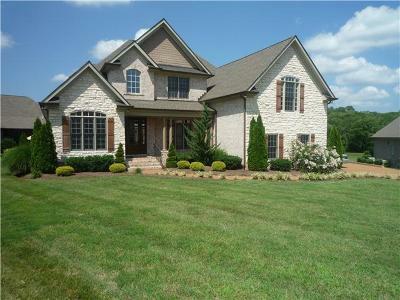 We currently manage more than 40 high end homes in Williamson, Wilson and Davidson Counties. Our Fee for service model means you pay for only what you need. If you own rental property that you feel you can manage on your own, and need only placement of a quality renter, we have those and would be glad to bring them your way. Our involvement gives added comfort to many tenants who have had bad experiences leasing directly from the property owner. Many have unfairly lost their security deposits so we assist by holding these funds in trust for you. Tenant placement includes a complete credit and background check including employment and rental history of the tenant, lease negotiations, all the services provided below except that once we have the tenant settled in, we hand the key back to you to manage the property. You take the maintenance calls and collect the rent. Tenant placement is normally priced equal to the monthly rental rate. We also provide complete property management services. If you contract with Inman Realty Group, LLC for property management, there are no up front costs. You don't pay us until we have collected money on your behalf. No set up fees, no tenent placement fees, no advertising costs. Move in/ Move out inspection to ensure property conditions. Assistance with utility connection, cleaning and punch lists. Experienced tenant removal with and without using the legal process of eviction.